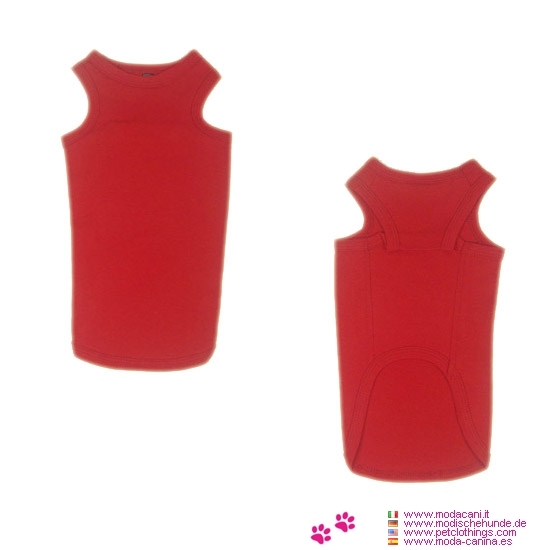 Red tank top for a Dachshund (or for dogs with long body), available on our online store specialized in clothing for dogs .. This tank top for Dachshunds is made in 100% cotton. 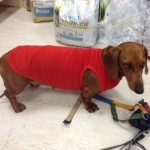 Recommended washing in cold water.